Envision yourself in the Pastoral Ministry. 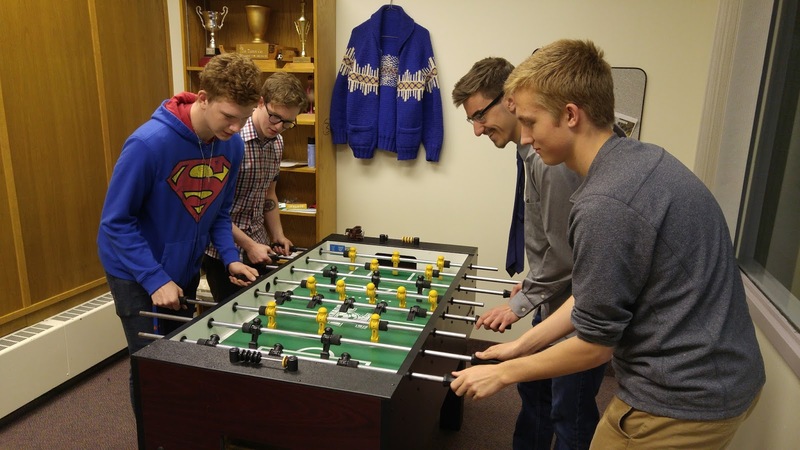 Six young men (mostly high school-aged) from across western Canada spent a weekend in May at Concordia Lutheran Seminary to explore various aspects of the Pastoral Ministry. These guests joined seminarians and faculty in sample classes in exegetical, systematic, historical, and practical theology, worshiped together in the seminary chapel and with the congregation at Bethlehem Lutheran Church, played games, and ate some great food. The seminary was blessed to have these young men as our guests, and we hope we were a blessing to them as they grow and contemplate their own future. It takes the whole church to raise up and form a young man to the point when he is ready to be called to serve a congregation. The seminary is the place where much of that formation takes place, but it is only one chapter in a lifetime of formation that begins first in a family and a congregation. If there is a young man in your family or congregation who demonstrates gifts and talents suited to the pastoral ministry, let him know. Encourage him to envision himself in the Pastoral Ministry. Pray for him and the church. And contact us at the seminary to see if we might be helpful in encouraging him too.